What Do You Do? What’s Your Job? I am a full time instructor in the Computer Science Technology program at Dawson College and a part time instructor in the Concordia University Continuing Education Computer Institute. At Dawson I am also the chair person and program coordinator for the program and at Concordia I act as a curriculum consultant. How Did You Get Where You Are? From the day I brought home an Apple][+ in 1980 I have been obsessed with technology. I have always considered it my responsibility as an educator in a skills based program to keep myself up to date and on the bleeding edge of technology. Outside of the classroom my interest in the Internet of Things is one of my hobbies. How Did You Come by Payara Server/Payara Micro? I first encountered Payara Server from an article called Running Java EE applications with Payara Micro on the Raspberry Pi by Steve Millidge. I had just started experimenting with the Grove Pi+ system and I found the project presented in the article an excellent starting part. The article generated random data to portray stock market information. I changed that to take readings from a temperature sensor. How Are You Using the Payara Platform Now? All of the code that I write today is for my courses. In one course I use Arquillian from Red Hat for server side testing. For the past five years I have had a problem where by testing on a remote server using GlassFish always took between 90 – 100 seconds before NetBeans displayed the results of the tests. Embedded testing took about 30 seconds so that was what I used in class. My contacts amongst the developers at Arquillian were baffled by my results. I was working on Windows and they admitted that there was not a Windows machine in the office. It worked fine on Red Hat Linux and there should not have been any difference on Windows. This past December, based on my experience with Payara Micro, I decided to see if Payara Server was truly a drop in replacement for GlassFish. I also planned to use other Java EE servers to determine if Arquillian’s poor performance was a server or OS problem. Payara Server is a perfect drop in replacement for GlassFish. What was most significant about replacing GlassFish for Payara Server was that remote testing went from 90 – 100 seconds down to 10 – 15 seconds. There was no need to look at any other servers. I had Payara Server deployed in my labs at Dawson and Concordia. My students no longer dread testing with its long waits. What Would You Say to Someone Considering the Payara Platform? There is no doubt in my mind that Payara Server is what GlassFish was supposed to be before Oracle lost interest in it and dropped commercial support. To Oracle’s credit they did make GlassFish as Open Source and this has allowed Payara to build upon an excellent code base and to provide the regular updates and support that a commercial installation needs. While GlassFish will remain the reference implementation of a Java EE server, Payara Server is the usable version of it. Do You Want to Share Any of Your Work With the Community? I maintain two blog sites. The first is omniprogrammer.com that contains writings from 2008 till 2016. Last year I moved to a new domain, omnijava.com, where my current writing is. You will find my articles on my Payara Micro work on this site. 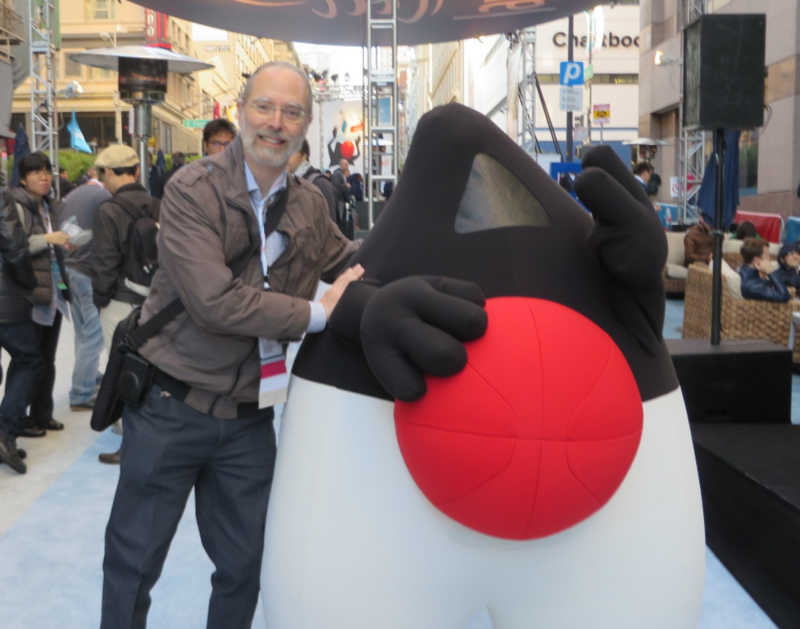 I have also published articles on DZone and Jaxenter. You can find me on Twitter as @omniprof where I generally just tweet on the industry. My goal on Twitter is to outdo my fellow Canadian Justin Bieber, although he has 92.1 million followers and I have 2,412. Payara already follows me. I also had the pleasure of meeting some of your staff this past Java One. Java & Java EE are registered trademarks of Oracle and/or its affiliates. GlassFish is a registered trademark of Eclipse Foundation. Payara and its logos are a trademark of Payara Foundation.